Estate agents’fees vary enormously from agency to another and from one city to another. If you are buying a property there should be no estate agent fees involved. But bear in mind that you’ll normally need a solicitor or licensed conveyor to carry out all the legal work when buying and selling your home. How much will it cost to sell a house? Our estate agent fees calculator will help you work out the cost of selling your property. The figures given are for general guidance but are unlikely to be an underestimate. Your own costs may be lower. Online estate agents typically have lower prices than traditional agencies but it’s not always advisable to just choose the company offering to sell your home for the lowest fee as you may receive a poor service, have to pay upfront and lose money on your sale price. Check reviews to see if you’re going to get an end result that is worthy of their fee. Typical fees of the estate agents and contract terms vary from agency to agency. Usually, estate agents charge a percentage, which can be anywhere between 0.75% and 3.0% + VAT of the agreed selling price for your property. The fee can depend on the location, type and value of the property. Our estate agency fee is only payable if we sell your home. On average when compared, our clients are better by up to 4.6% on the final price because we don’t negotiate. Our valuations are accurate, our waiting list is strong and our team delivers on its guarantee. You can select from two award-winning landlord packages. Managed from 10% per calendar month and Corporate from 15% for 3, 5 or 7-year contracts. Our ’21 Day Performance Contract’ with an offer promise is all about speed and efficiency. Zero % commission fees apply to the seller. The advert will run for 21 days and can be upgraded to a traditional or performance package at any time. There is nothing to pay upfront.  Love Your Postcode gives your home maximum exposure online & offline, getting it more views from potential applicants, therefore more offers, and ultimately the highest possible finishing value. This means you end up with more money in your pocket and you enjoy a higher quality service. Call us on 0800 862 0870 or book a free valuation today.